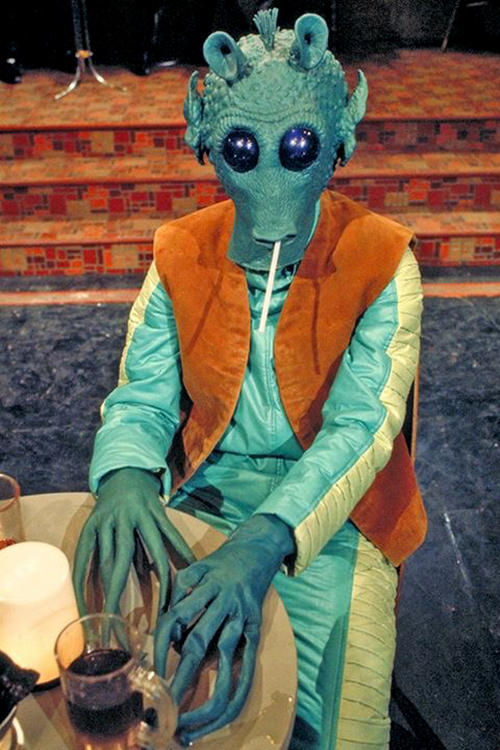 Bludlow is a Rodian regular at Ackmena’s cantina. He likes a good song and dance, but always hates to leave at closing time. Bludlow is often mistakenly written as “Ludlow”, but the script verifies that his name does have a “B” in front of it. Also, if you pay close attention, Ackmena does say “Bludlow” when she addresses him on-screen. 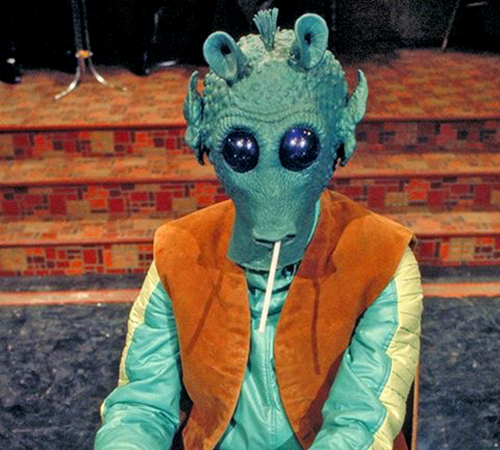 The name Ludlow was used on publicity flyers that Lucasfilm distributed in 1978 to promote some public appearances of Boba Fett in costume. 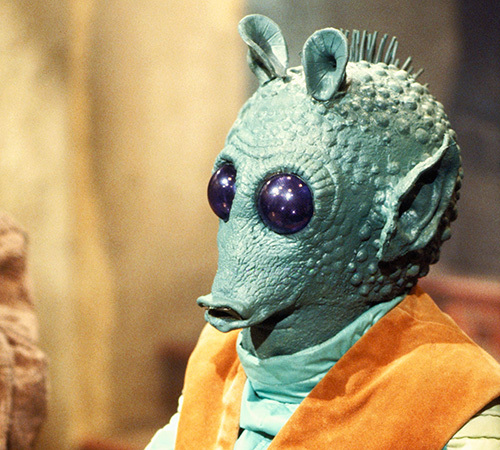 These creatures were informally referred to as “Martians” by the crew during the making of A New Hope. A later 1978 memo identified them as “Graffties”, but the name was not put into usage. 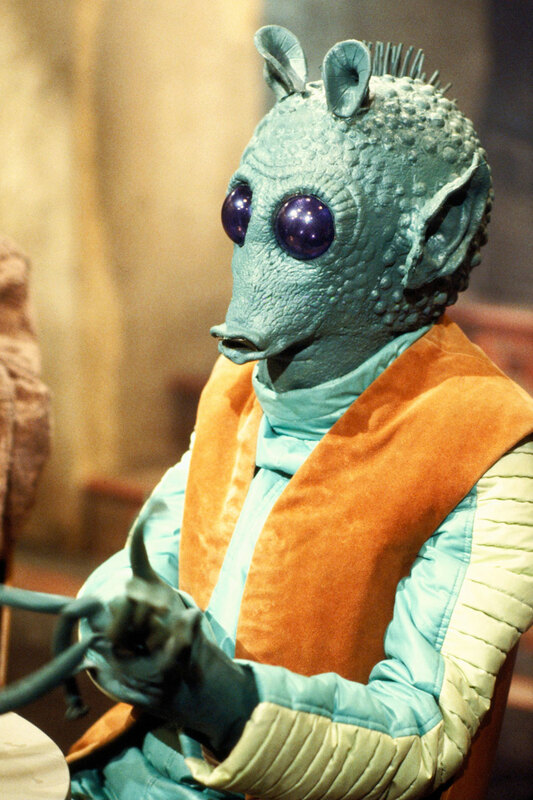 Eventually, the species were named Rodians in West End Games’ 1989 Galaxy Guide 1: A New Hope book, and that name caught on after that.